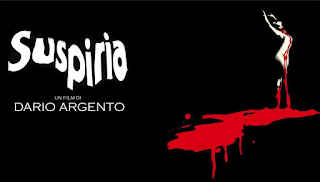 I got to check out the 4K restored version of Suspiria showing at The New Parkway Theater in Oakland CA last night with my wife and it was...fantastic. Crisp, bright, and lush - like watching a completely new film. For those of you who have not been to the New Parkway, it's quite an experience. It's the "local theater" that I remember going to as a child growing up in Novato California - small, sweet, and friendly. Not big box branded. Not filled with glitz and Coke ads. Just two theaters showing current and past films. And, there's more. Much more. One theater has cool theater style seats with a selection of other seats and bean bag chairs on two levels. The other theater has an even more eclectic collection of seats, booths, sofas, and chairs in a large theater space. It's super comfortable. Like watching in your living room. But...that's NOT all! 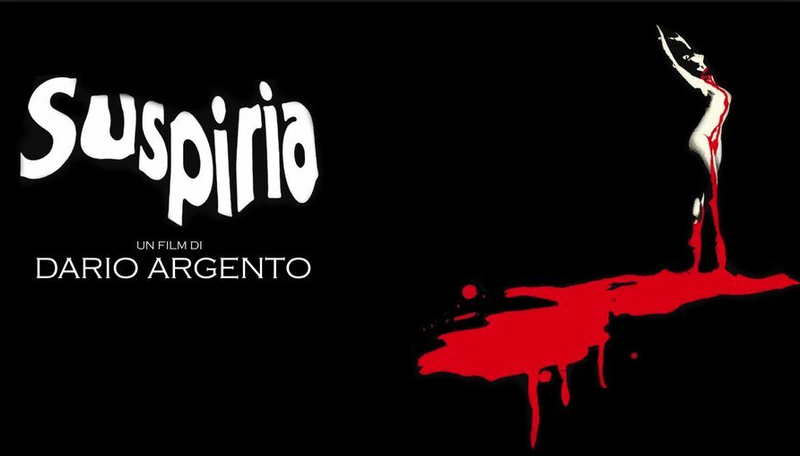 Suspiria on the big screen was a first for me. My wife and I went and I wasn't sure how she was going to take it. She's not a horror fan, but she does like films, so I was curious to see what her take away was going to be. Turns out she enjoyed the film and thought many aspects were interesting. She also knew that I loved it, so I think she was even more forgiving. Seeing as the film started at 10:30pm (when we're usually in bed), I was extra pleased that she made it through. 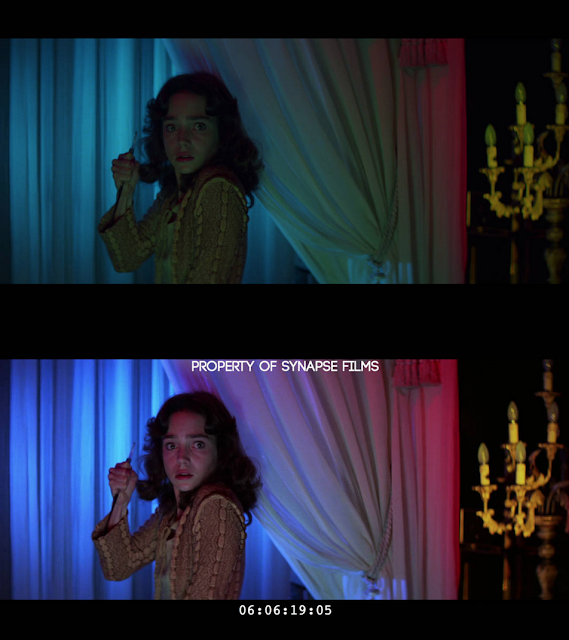 I saw things in this restored version that I had never noticed before. 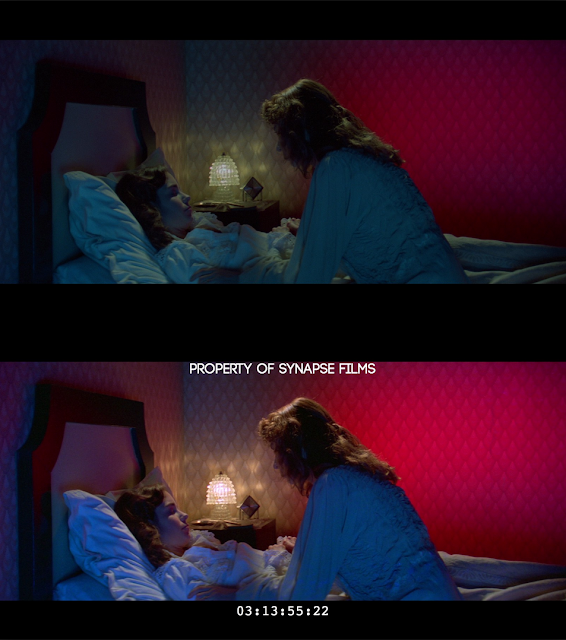 Up until now, many aspects of the film were either too dark or too grainy to make out. The level of detail and the crispness of the images were fantastic. The audio quality was fantastic as well and I was able to really sink into the experience on all fronts. Literally like watching a new film. The one thing that I wasn't 100% on was the red level at the theater. I wasn't sure if it was the theater's projection or if I just happened to be seeing the film the way it was SUPPOSED to be rather than how I've been seeing it up until now. I remembered the red being far more punchy, but maybe the restored version is a bit more tame. That didn't stop me from enjoying the HELL out of the viewing, however. If you get a chance to see the restored version in the theater - GO!